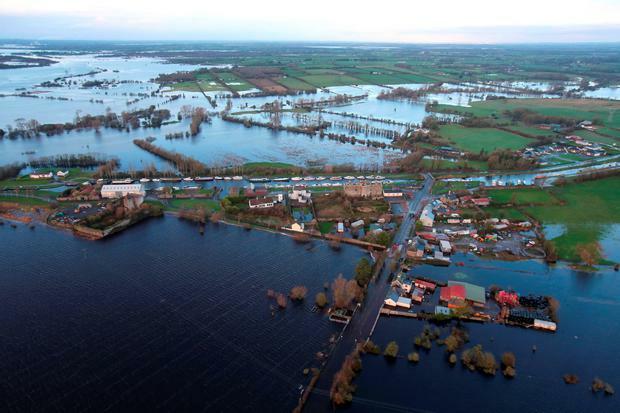 A massive dredging programme for the River Shannon is planned in an attempt to avoid a repeat of the devastating flooding which struck last winter. Works are unlikely to get underway before the end of next year though, as the Government has to complete in-depth environmental assessments to ensure that the dredging does not result in flooding downstream of works or affect protected habitats. Office of Public Works Minister Sean Canney said a group made up of the OPW, Inland Fisheries, Waterways Ireland, the ESB and other stakeholders had been tasked with assessing where dredging was required and what environmental measures are needed. "We have agreed to put in place a plan to start dredging the Shannon. That's never been done before," Mr Canney told the Irish Independent. "We will look at the Shannon with all the groups to see how we can have maintenance for the Shannon, and not just the tributaries." He said the plans will be subject to in-depth environmental assessments, and may have to be approved by the European Commission to determine that they comply with the Habitat Directive. "Probably in places where we are doing dredging, environmental damage may be caused with questions around what we do with the silt, so we have to put in place mitigation measures as well," the minister said. The IFA said farmers and landowners would want to see works begin "as soon as possible" as silt and vegetation had built up. The Shannon Flood Risk Group, which is led by the OPW, considers that maintenance works are essential to halt the deterioration of the river channel. Environmental group An Taisce has previously warned that dredging alone will not solve flooding problems on the country's largest river, saying that a catchment-wide approach is needed to include restoration of flood plains, schemes for farmers to help reduce surface run-off, planting native woodlands and reducing over-grazing. The OPW said that complete works will be "problematic". Dredging will take place alongside planned flood defence works in affected communities.